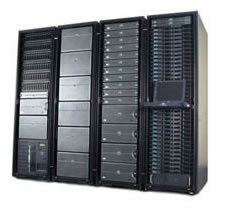 Thank you for visiting www.machinenetworks.co.uk. Here is an overview of our site. Your experience of our web site is extremely important to us and your opinions count. Please do not hesitate to contact us if you encounter any problems/errors whilst browsing our site or wish to comment/place suggestions on our web site's usability and content. Here you can find an introduction to some of our more popular auto install web scripts. If you are an existing client of Machine Networks here are the links to our client support section. Before ordering any of our web hosting packages or registering a domain name we strongly advise you to read the small print. PLEASE NOTE: We reserve the right to add, delete or modify our terms and conditions, hosting packages, prices and web site at any time. All clients are encouraged to regularly read the following information to ensure they are aware of any changes.